During last year’s Wisconsin vs. Illinois Writer’s Cup at Sand Valley Golf Resort in Rome, Wisconsin, I was introduced to a new golf ball that I’d heard of in passing: Snell Golf’s My Tour Ball. Snell owns 40 patents in golf ball technology and is revered as one of the premier minds in the industry. During his seven years with Titleist and FootJoy Worldwide, he co-designed the original ProV1, Titleist Professional, Tour Prestige, HP2 Tour and HP2 Distance before moving on to Vice President of Research and Development for TaylorMade. While at TaylorMade, he designed the TP Red, TP Black and Penta (golf’s first five-layer ball), as well as the Noodle, Burner, RocketBallz and Project (a) lines. All this to say Dean Snell knows golf balls better than probably anyone else in the world. I cannot claim to know a half percent of what Dean does about golf balls, but I do know the results of playing the Snell My Tour Ball. I have shot all my best rounds over the past two years with them and the control, distance and feel have all been as good or better than anything else I’ve been playing. 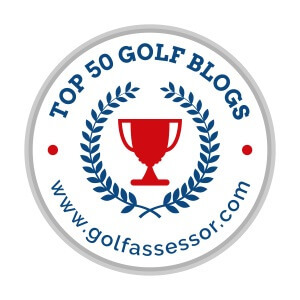 Their performance has been most commonly compared by those more in the know to the Titleist ProV1 (comparable specs) and the Callaway Chrome Soft. ProV1’s list for $47.99/dozen, though, and Chrome Softs for $39.99/dozen. The My Tour Ball, on the other hand, ships free for $31.99/dozen. Affordable top-of-the-line golf balls are not a new concept these days – Snell, Vice Golf and Kirkland have all made recent headlines – but Snell has made solid progress in the market and looks to continue growing. I wholeheartedly recommend trying out the My Tour Ball. For additional information and to purchase your own (including their new limited edition run with American Flag logos), visit Snell Golf’s website here. Paul, Please send Terry marcou your blogs at Tmmarcou@yahoo.com RegardsPaul How is baby event progressing…?? Hey Paul! We’re less than a week from daddy day and things are going well – I’ll email Terry. See you soon! I like the balls too. I took some to Bolivia with me earlier in the year.